Marc Fitt is a Fitness Model, Online personal trainer and entrepreneur. He started weight training to earn self-confidence and it has now become a way to live. "I didn’t have any interest for bodybuilding but when I started to work out I went crazy seeing the results hard work created on my body," says Marc. Marc Fitt Workout for 1h 30 min to 2 hours everyday and follows a strict diet regime. He workout with high volumes of exercises and repetitions and his rest time is relatively low (45 seconds to 1 min 30 seconds between each set). "Pride, confidence and satisfaction are 3 feelings I get when I reach a goal, but I don’t stop there. I’m always more hungry! 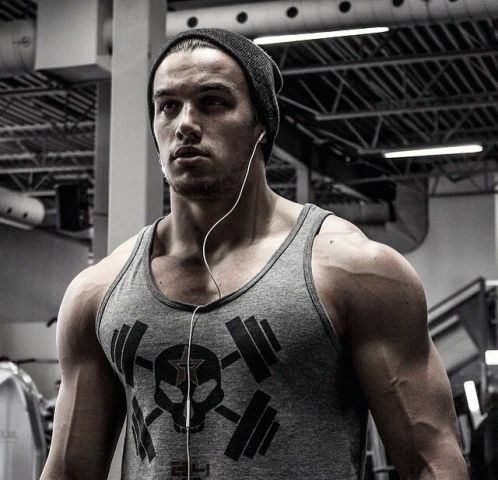 I want more, I want to reach and do everything imaginable," says Fitt. Meal 1: 1 banana, 60g of oats, 8 egg whites,1 protein shake (30g), 2 multi-vitamin, 2 omega-3, 1 vitamin b-100, 2 caps of test alpha and 5 g of glutamine. Meal 6: 4 egg whites, 30g of casein protein, 5g of glutamine, 3 caps of ZMA.